Finals week at W&J is over and students have headed home for the holidays. WNJR specialty shows resume partly during the January term ("Intersession") and fully once the Spring term commences in February. In the meantime, the WNJR automation robot keeps you company 24/7. Syndicated news and entertainment programs from Pacifica and Public Radio Exchange continue as usual. Philosophy Talk has been added to the WNJR broadcast schedule, every Saturday at 12:00 noon and re-played Sunday at 6:00 pm. 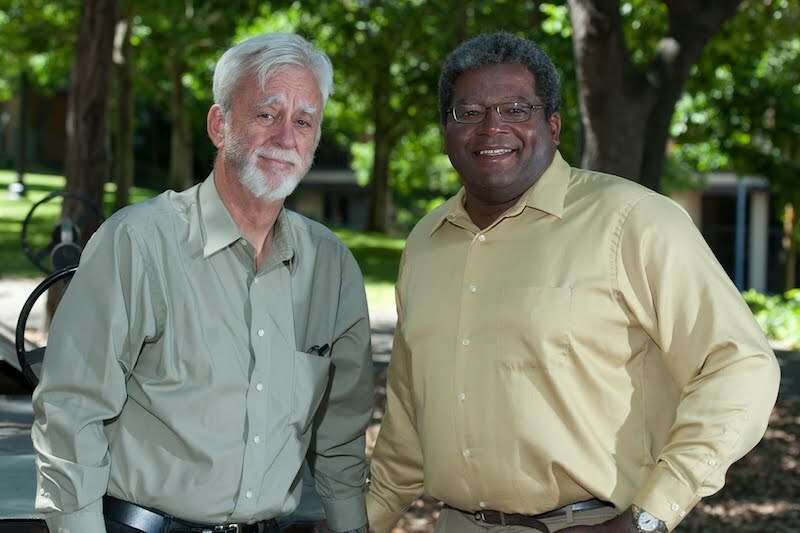 Join hosts John Perry and Ken Taylor for topics ranging from popular culture to deeply held beliefs about science, morality, and the human condition. Philosophy Talk challenges listeners to identify and question their assumptions and to think about things in new ways. Philosophy Talk is recorded and produced at KALW in San Francisco and distributed by Public Radio Exchange. Special Edition of Indigenous Politics, Thursday 24 November at 12:00 noon. What are the origins of the Thanksgiving holiday in the US? Some Americans commemorate a harvest feast celebrated in 1621 at Plymouth between the Wampanoag and the Pilgrims. Then, there is the 1637 proclamation by Massachusetts Governor John Winthrop, who claimed an official “a Day of Thanksgiving” to celebrate the colonists who massacred the Pequots at Mystic, Connecticut. How are these different narratives alternately celebrated and erased? How was the creation of Thanksgiving as a national holiday a way of solidifying American national identity? This show explores the politics of Thanksgiving with interviews that provide two very different perspectives. Join your host, Dr. J. Kehaulani Kauanui, and guests, Ramona Nosapocket Peters (Mashpee Wampanoag), cultural worker and artist, and Moonanum James (Aquinnah Wampanoag), co-leader of the United American Indians of New England, who hosts an annual “National Day of Mourning,” on Cole Hill, MA, as an alternative. 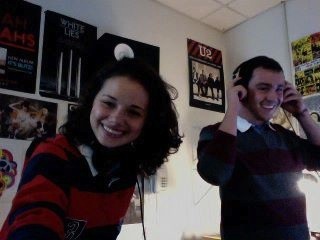 Devin and Tyler in the WNJR air studio. Like them on Facebook. An article about WNJR in today's Washington Observer-Reporter: WNJR marks 50 years on air, by Brad Hundt. That's Amparo Alpanes of Vamos Muchachos (Tuesdays at 2:00 pm) in the photo! This year marks the 50th anniversary of sudent radio at W&J! It's been a blast having Cliff Bryson, audio engineer extraordinaire, in the air studio this past week. Completion of the renovation is in sight! 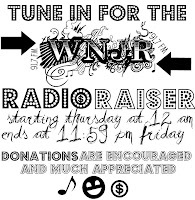 WNJR is off-air until early July August for equipment upgrades. Thanks for your patience as we improve our facilities. 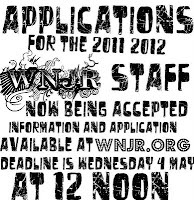 WNJR's annual 48 hour year-end event! Thursday and Friday, 5 and 6 May. Final exams start next week, so we are signing off for the academic year. We're also raising money to support our subscriptions to the Pacifica network (our source for Al Jazeera and other news programs), Public Radio Exchange (Radiolab and Live Wire! ), and College Music Journal (for new music!). 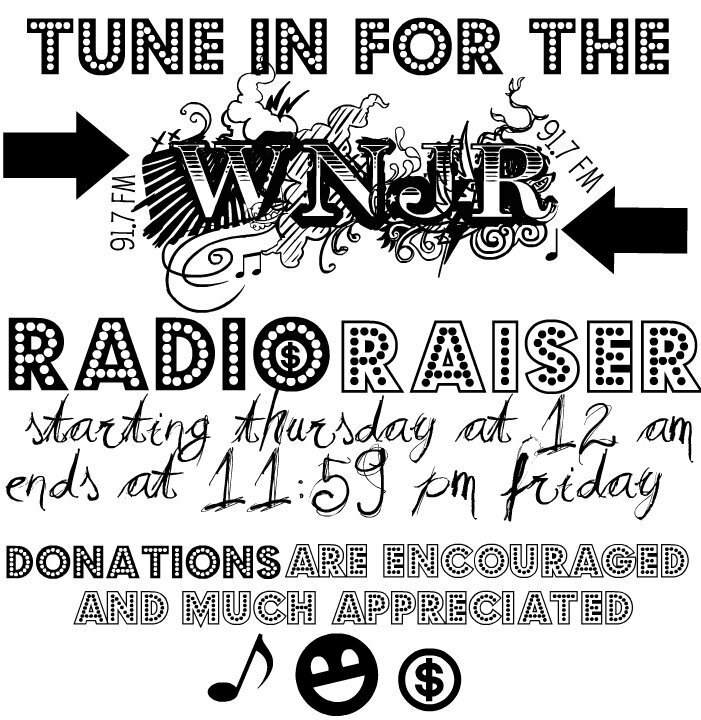 Call in to support alternative radio for Washington County. 724.223.6039 ext 3. Update: 10:15 am: Internet service has been restored and the WNJR webstream is functioning. Internet service is down at Washington & Jefferson College, which affects WNJR's webstream and news programs from the Pacifica network. No Al Jazeera at 6 am today, and broadcast of Democracy Now at 8 am is uncertain. "A Child of the College: One Boy's Story" Coverage will begin at 7pm and last until the end of the lecture with the audio being post on this page shortly there after. 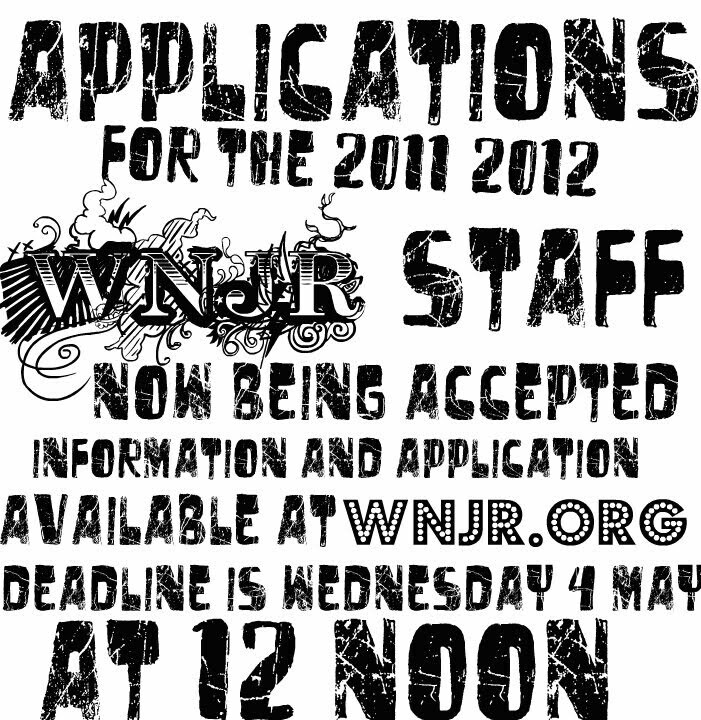 Applications are now being accepted for positions on the 2011-2012 WNJR Staff. 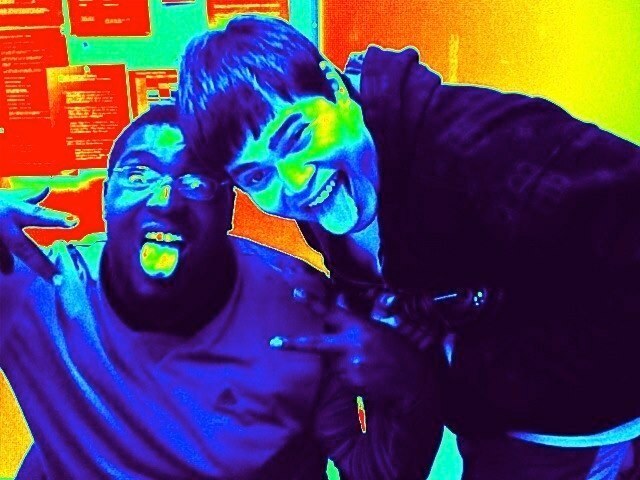 Submit application and attachments electronically to Anthony Fleury by 12:00 noon Wednesday 4 May 2011. Interviews will begin immediately and may continue through finals week. No position will be filled before the application deadline. WNJR is now airing Al Jazeera English at 6:00 am, repeated at 11:00 am, Monday through Friday. The radio program is a one-hour digest of Al Jazeera's 24 hour news cycle, in an exclusive arrangement between the Pacifica Radio Network and Al Jazeera. 10 IRON AND WINE Kiss Each Other Clean-Warner Bros.